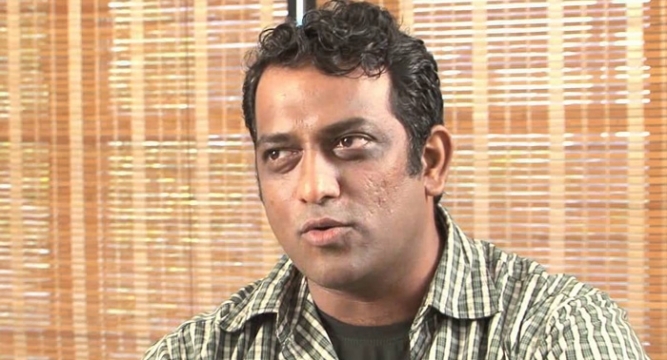 Anurag Basu, who is already busy shooting for Ranbir Kapoor and Katrina Kaif starrer “Jagga Jasoos” and also tied down with a new TV show, says he’s feeling restless about the impending status of his biopic on cinematic legend Kishore Kumar. “The biopic is definitely on. Biopics are extremely hard to make in India. I don’t know when it will start. I’m getting really restless with it not going on the floors. I’ve worked on the script and waiting for shooting to begin since last two years,” Basu said at an event here. “Everybody associated with the film has committed to doing the film. The director is ready, producer is ready, the family of Kishore Kumar is ready, but the only issue is that the dates are not working out. But it could begin anytime sooner or later,” he added. Basu’s wait could be longer as his on screen Kishore Kumar, actor Ranbir will first complete “Jagga Jasoos”, “Tamasha” and then most likely, he will move to Ayan Mukerji’s superhero flick with Alia Bhatt and Karan Johar‘s directorial with Anushka Sharma and Aishwarya Rai Bachchan. Meanwhile, Basu is helming a TV show “Stories by Rabindranath Tagore” for Epic channel.